Looking for Broomfield Plumbers Services nearby? TYCO Plumbing enjoys providing professional and local plumbing and repair services to Broomfield and the surrounding areas. We can help you with anything from toilet leaking, garbage disposal replacement, bathroom remodeling, and more. We pride ourselves on providing first-rate services and top quality workmanship at affordable rates. With our residential plumbing service and repairs, we do not joke with our client’s satisfaction. We are fully committed to delivering top-quality plumbing services that will not compromise your comfort. Our advanced plumbing technology helps us to ensure you are getting the most accurate, timely, efficient, and excellent plumbing services. 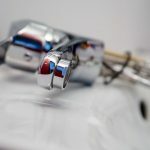 One of the reasons to choose our broomfield plumbers for your plumbing services in Broomfield is because we offer free, no-obligation assessment on all our plumbing services. This helps you to prevent emergencies and deal with any plumbing issues at their early stage. While our assessment covers your entire plumbing system, we also focus on the most traffic areas, like the bathrooms and the kitchens. TYCO Plumbing will never send any plumber we don’t trust to your home. 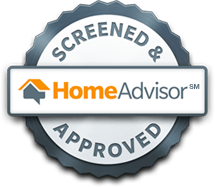 All our technicians are well-screened and have been found to be of honest and notable character. After the repair works, we will perfectly clean up the entire place and will not leave until you are 100% satisfied. We are here to offer you the most dependable plumbing services available. Please view all of our Broomfield plumbing services to see what we offer. If you are in need of a local plumber near Broomfield, TYCO Plumbing will make sure you are completely satisfied with our services and products. Our Broomfield plumbers look forward to meeting you! 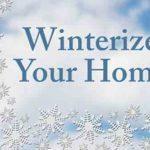 Do you need a winterizing plumbing professional? Looking for a Westminster Plumber?